French’s Air Conditioning, Inc. understands what a difference preventative maintenance and proper service can make in the overall performance and cost of your HVAC equipment. 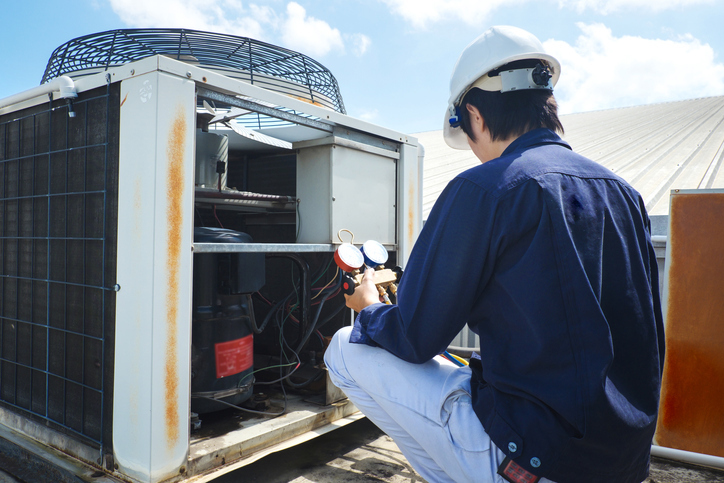 We consider all variables with a site specific analysis of equipment and its application – whether the equipment be: chillers and cooling towers, rooftop units, fan coil and heat pump units, and/or any other air conditioning systems. Our tenured, certified technicians will follow manufacturer guidelines and recommendations to customize a preventative maintenance plan that best suits our client’s needs. Routine maintenance has proven to protect the life of equipment, improve air quality, optimize energy use, and maintain a comfortable environment in which to work. French’s Air Conditioning, Inc. will take the time to make sure all equipment performance and maintenance concerns are addressed; while being conscious of time and cost during any preventative maintenance check or service call. We are committed to proving our reputation speaks for itself.